In the correspondence by the Ministry of the Interior, the government calls on the representatives of « Eglise vivante» church to organize an inclusive general assembly and elect new representatives. “Eglise Vivante” church called to elect its new representatives. “Under Article 29 of the law governing religious denominations, Pastor Edmond Kivuye and Arthémon Simbananiye can no longer represent “Eglise vivante” because they do not live in Burundi. 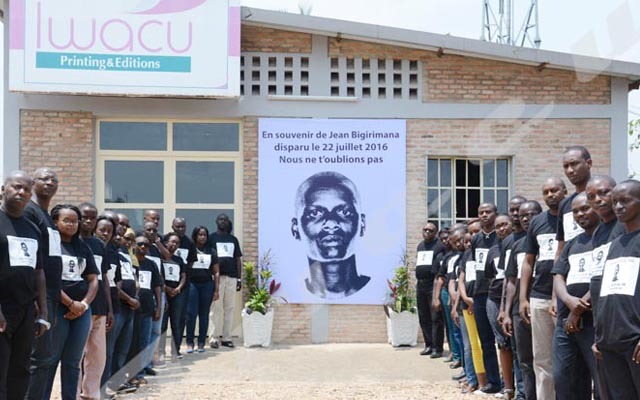 Thus the acts that recognize them as legal representatives are canceled, “reads the correspondence that the Minister of the Interior addressed to the above mentioned representatives of “Eglise Vivante” in Burundi. Minister Pascal Barandagiye says there have been some internal misunderstandings within the church and adds that the meetings that were held in the past failed to end the disagreements. He calls on the representatives of the church to hold an inclusive assembly. “Considering that all the meetings held in the past have been characterized by irregularities, an inclusive general assembly must be organized in not later than two weeks”. He also says this general meeting will be an opportunity for the representatives to comply with the law No. 1/35 of 31 December 2014 on the organic framework of religious denominations. Contacted, the two representatives of “Eglise vivante” did not want to give their opinions about this correspondence by the Ministry of the Interior. Pastor Edmond Kivuye fled the country in April 2015 following the political situation that was prevailing in the country and has not yet returned since then.